Since 1996, All-Care has become an industry leader in providing nursing and health care services to both our private clients and partnered hospitals and healthcare institutions. We strive to maintain a strong reputation for excellent patient care delivery. 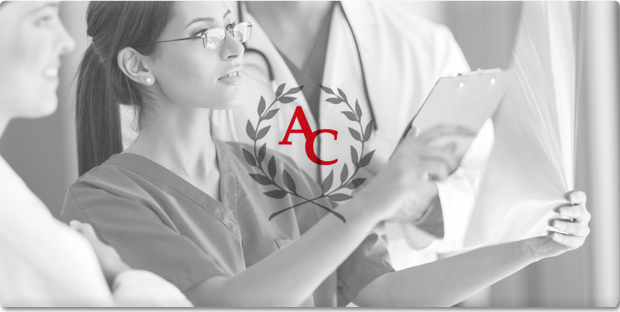 All-Care is a fully accredited agency providing specialized, professional staff to meet your needs 24 hours a day, seven days a week. Our healthcare professionals are frequently requested by our partnered hospitals and health care facilities. We provided Registered Nurses, Registered Practical Nurses, Personal Support Workers, Allied Health Professionals and more. Our extensive recruitment process ensures that our nursing staff are both certified and specialized to provide care. We do not send you anyone who is not appropriately licensed/certified because we do not hire anyone who is not qualified. We take great care in ensuring the quality and competency of all our personnel and accept only highly skilled, experienced candidates. Each applicant is carefully screened and referenced before hiring to ensure that he or she meets our employment standards. To set the industry standard for highly qualified nursing and healthcare delivery by providing our clients with exceptional, reliable, compassionate, and dignified care, thereby enhancing their quality of life. To be recognized as the industry leading nursing provider for hospital/healthcare facilities and homecare clients by consistently providing reliable and affordable services. We use these words as our company guiding principles to assist us in measuring the appropriateness of our decisions as we strive to achieve our vision and overall mission. Accreditation Canada is a not-for-profit, independent organization accredited by the International Society for Quality in Health Care (ISQua).